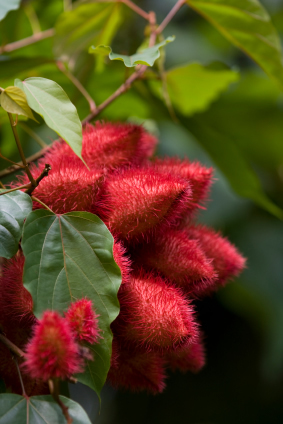 Annatto is growing in popularity as a natural alternative to synthetic food coloring compounds. The intense red color of the seed is due to bixin in the seed coat. The seeds are used in cooking to impart a rich yellow color and can be used inexpensive substitute for saffron. They add a mild, distinctive flavor to foods such as rice, sauces, cheeses, fish, and salad oil. Annatto is widely used in Caribbean and Latin cuisines. Recado rojo or achiote paste is a popular blend of spices from Yucat�n region of Southern Mexico that usually includes annatto, Mexican oregano, cumin, clove, cinnamon, black pepper, allspice, garlic, and salt. The annatto seeds give this traditional seasoning mix a distinctive red hue. 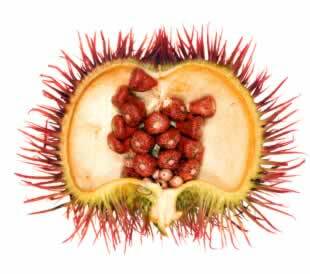 Fruit/Seeds:Pink flowers and bright red spiny fruits which contain roughly 50 dark red, triangle shaped seeds. Annatto branches are covered by these brightly colored pods, and one small annatto tree can produce up to 270 kg of seeds. Distribution: Native to tropical Central and South America but now widely distributed throughout the tropics. Introduced to the Philippines during its Spanish period. 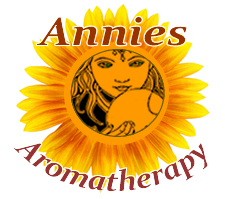 Annatto was used by the Mayans and North American native tribes as body paint. The Aztecs also may have used annatto to flavor and color drinking chocolate.